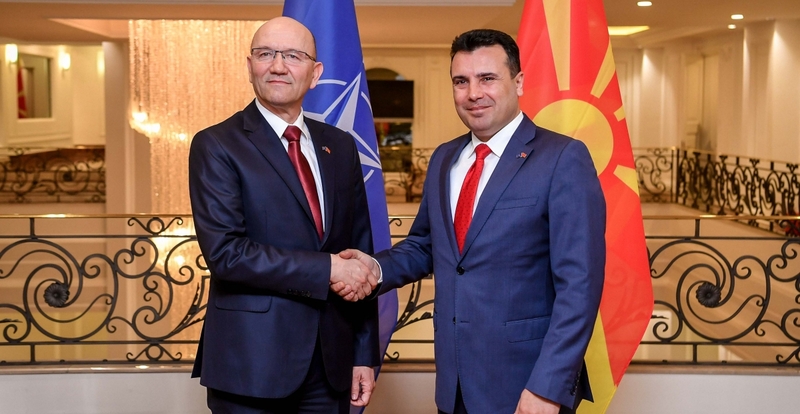 The entry of the country soon to be officially named Republic of North Macedonia into Nato would have a positive effect on accelerating the republic’s entry into the European Union, it was agreed in talks in Skopje on February 12 between Prime Minister Zoran Zaev and the head of the Nato liaison office. This is according to a statement by the government in Skopje, issued after Zaev and Nato liaison office head Colonel Zoran Jankovič held talks ahead of a ceremony to raise the Nato flag outside the government building. The Nato flag-raising was attended by representatives of the country’s diplomatic corps, military attachés, lawmakers, representatives of religious and political communities and representatives of civil society organisations, the government statement said. 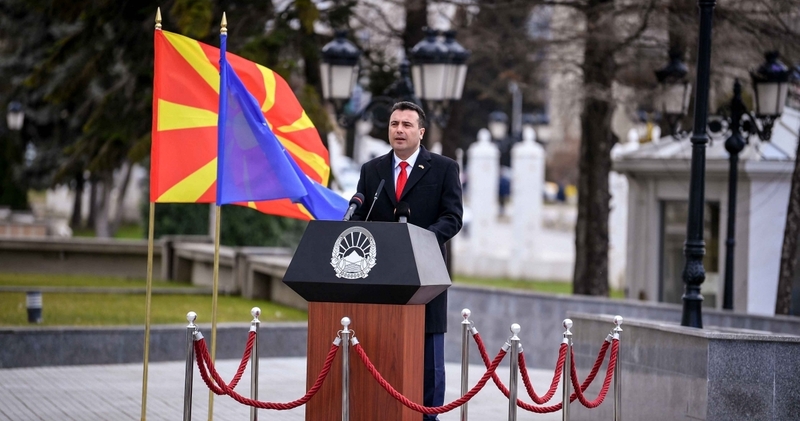 Zaev said that the independent and sovereign decision on Nato membership was “a historic achievement for the country and the realisation of the will and aspiration of all citizens of our homeland, which will soon be named Republic of North Macedonia”. 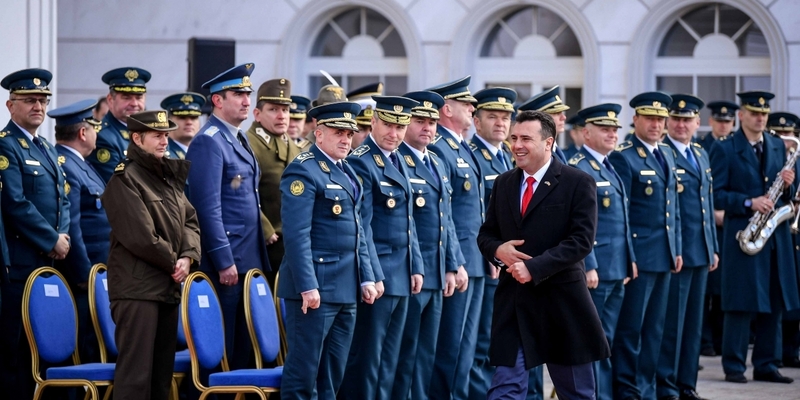 “It is a contribution to the peace and stability of the entire region, and for the state it creates positive conditions for economic development,” Zaev said. He thanked the Nato Alliance for continued support, frequent visits and encouragement. Zaev expressed readiness that as a Nato member state, the country would contribute equally to the obligations that come with membership. The statement quoted Jankovič as expressing satisfaction with the country’s membership in Nato, adding that it is also important for the Alliance to have another member state that shares its values, beliefs and strategic goals. Zaev and Jankovič agreed that the country showed that it is committed and ready to become a Nato member country and that it was committed to reforms of defence and the political system. “It was jointly concluded that the entry into Nato would also have positive effects for accelerating the process of integration into the European Union,” the statement said. The country’s Nato accession follows the Prespa Agreement of June 2018, a deal to end the dispute between Greece and the former Yugoslav republic over the use of the name “Macedonia”. The Prespa Agreement has been ratified by the legislatures in Athens and Skopje. On February 8, the Greek Parliament ratified Skopje’s Nato accession protocol, two days after it was signed by the ambassadors of all Nato countries at a ceremony in Brussels. The agreement provides for a change to the republic’s constitution to rename it Republic of North Macedonia. Nato liaison office head Colonel Zoran Jankovič, left, and Prime Minister Zoran Zaev.